Could there be something new in the works? 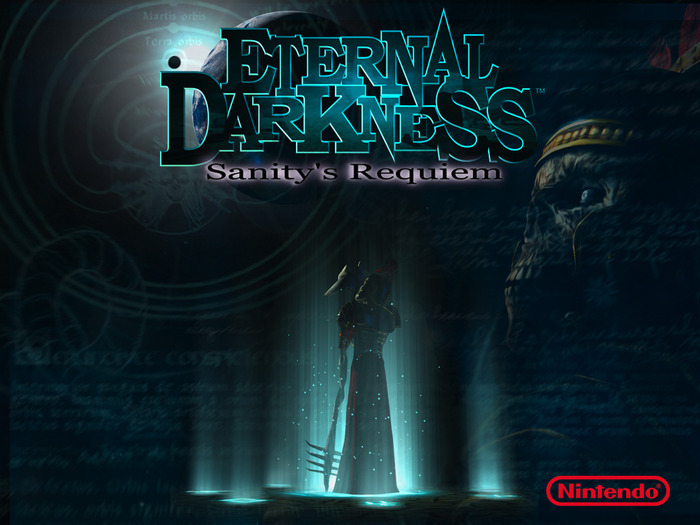 Unearthed by Siliconera, Nintendo has filed a new trademark for Eternal Darkness. The last time Nintendo filed a trademark for this was back in 2010. One detail Siliconera notes between the two trademark filings is that this new one mentions “downloadable electronic game programs; downlodable electronic game software” on top of what they filed for last time. Could they be planning some sort of re-release? Maybe a sequel? Or could they be covering their asses with the downloadable part, lest someone else swoop in and cause unnecessary legal action? Eternal Darkness was last released early in the Gamecube’s lifecycle. It was one of the few M-rated games Nintendo published and is cited by some as one of the best horror games out there. What made Eternal Darkness unique amongst other horror games was the game’s Sanity Meter. The lower your character’s Sanity was, the more weird the game got. The most popular way the game spooked players was by breaking the fourth wall, popular among them being a BSOD that players were presented with. 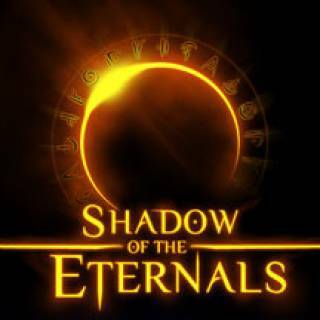 A spritual successor is in the works called Shadow of the Eternals, headed up by the original creator of Eternal Darkness, Denis Dyack. His development studio, Precursor Games, tried to gain funding for the game through Kickstarter. It didn’t go so well. However on July 25th, they’ve once again put the project on Kickstarter, asking for much less than before and have signed on David Hayter, the voice of Solid Snake from the Metal Gear Solid series. Dyack plans to release this game first on the PC and Wii U. Since launching last Thursday, the project as so far raised $176,361. Its goal is to reach $750,000 and has 25 days left as of this writing. This entry was posted in Gaming News and tagged Eternal Darkness, nintendo, Precursor Games, Shadow of the Eternals, Silicon Knights on July 29, 2013 by Steven T..